If you use a CD/DVD burning program that features a disc-verifying option, then you might already know that this useful feature is great to make sure there are no errors in the discs you burn. But what if you accidentally scratch the disc at a later date and want to check that all the files are still readable? 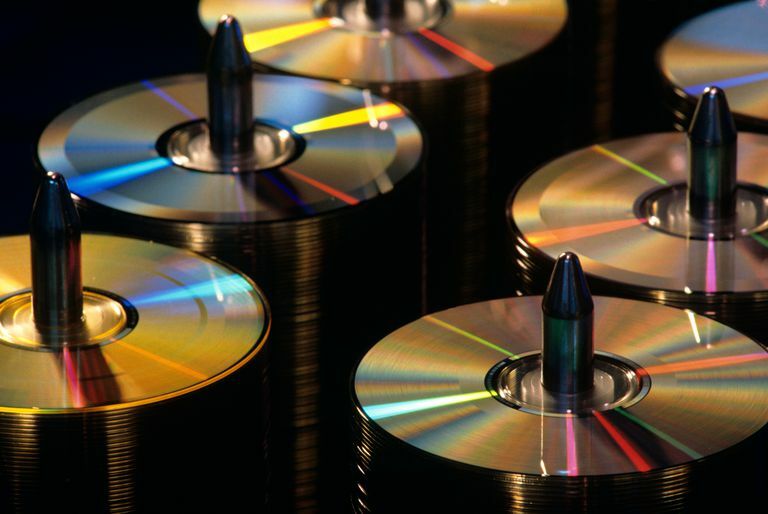 A disk checking program is an essential tool that you can use to scan CDs, DVDs, hard disks — in fact, most types of storage media. Disk-scanning utilities are also useful for checking that existing disks are still readable. Free drive/disc tester for most Windows versions including 10, 8, 7, and Vista. Can scan any disk you can see in Windows. Read-only scan includes no fixes. Along with being a great little utility for scanning hard drives for bad disk clusters, Ariolic Disk Scanner can also check CD and DVD discs for errors. It tests the complete surface of the disk and displays good and bad clusters in real time. This program for Windows doesn't need to be installed, so you can run it from any type of media. Copying it to a USB flash drive, for example, lets you carry it around to check several computer setups. Analyses fixed, removable, and optical discs. Compatible with Windows 10, 8, 7, Vista, and XP. Can't export scan results to file. Formerly free software not requires a small fee. Emsa DiskCheck for Windows is another media-checking utility that you can use for CDs, DVDs, and other types of media. Just like Ariolic Disk Scanner, it has a simple interface that's easy to understand. An interesting feature of Emsa DiskCheck is being able to see other statistics about the ​CD or DVD you're working on. The statistics section, for example, shows you how many files are on the disc and how much space is taken up. You can also measure your drive's ability to read the disc by looking at the speed statistics. Good for use with older versions of Windows: 95, 98, ME, NT, 2000, and XP. Registration is required for free version after 30-day trial. CDCheck is probably the most well-known disk scanner for the Windows platform. This feature-rich application can scan for errors in a number of ways. It can check the contents of CDs, DVDs, hard drives and other types of media for errors and can also create/read hash files (MD5, CRC-32, etc.). CDCheck can also be used for comparing folders and files, which is a useful feature if you want to compare the files written to disc with the source files (normally stored on your hard drive). CDCheck can also double as a file recovery tool to recover files from a disk that Windows can't read. Overall, a great utility to install to keep a check on all your media. VSO Inspector is a relatively new option that works across all current versions of Windows, including Windows 10. It excels at providing you with a ton of relevant information about both your DVD drive and the disk inside it. VSO Inspector lets you know information about the sectors of your disk, which ones may be problematic, and the order in which it's reading. This one is a fantastic option for helping you to pinpoint exactly where a problem may occur. Linux users shouldn't feel excluded here too. While you can use lower level command line tools to analyze your disks, there's a graphical program that you probably already have installed that can perform a quick check of your disks, Brasero. Brasero is the default GNOME DVD burner, but it also can check your disks to make sure that they're working correctly. The interface is incredibly simple, and you can perform a scan in seconds. Install Brasero from your package manager on nearly all Linux distributions.